Having more precise information about wear and tear on this portion of the knee – a blend of fibrous tissue and cartilage called the meniscus – could lead to its use as a biomarker in predicting who is at risk for developing osteoarthritis, researchers say. The meniscus consists of two C-shaped disks that rest between the thigh and shin bones. It provides cushioning, evens out weight distribution and reduces friction. Under normal circumstances, radiologists use rulers to measure specific portions of an image. This new program replaces that method with automated measurements of several magnetic resonance imaging slices of the meniscus. These measurements can then be used to determine the total volume of the structure of the meniscus for comparison over time. After developing the program, the scientists found that the automated measurements were either as reliable or more reliable than human measurements of mild to moderate cases of knee degeneration. More work is needed to make the program equally strong in measuring severely damaged knees, researchers say. On a case-by-case basis, manual interpretation takes between seven and 20 minutes, and the computer program completes its segmentation in two to four minutes. The scientists say the program could be revamped to make it work even more rapidly without sacrificing accuracy. The research appears online and is scheduled for later print publication in the journal Osteoarthritis and Cartilage. Researchers believe that if the meniscus – and, eventually, other parts of the knee – can be more precisely monitored for changes over time, the structures could serve as important predictors of people’s risk for developing osteoarthritis, the leading cause of disability in older adults. Gurcan and colleagues used imaging data from the Osteoarthritis Initiative, a massive national study of the disorder, to develop and test new programming designed to automate radiological measurements. Ohio State’s Medical Center was one of four clinical centers selected as part of the national initiative to collect information and design disease standards intended to speed drug development. Osteoarthritis is the most common type of arthritis and is characterized by the breakdown and erosion of cartilage that causes pain, swelling and loss of motion in the joint. The initiative has collected images and other data on 4,796 study participants. This computer programming study used 24 randomly selected images from that collection – 10 from patients with no symptoms, and 14 from patients diagnosed with osteoarthritis. In developing the program, the researchers created algorithms based in part on the intensity of the pixels within each component of the images taken of study participants’ knees. The program reads each of up to two dozen slices to designate and segment the three-dimensional structure of the meniscus. As it moves through the images, the program also compares the previous slice to the current slice, re-evaluates and checks its work. At this point in the development, the program requires some human input. A person must scroll through images manually, find the first slice that includes an image of the meniscus, and place a point within that area of the image. A second point must be placed on the meniscus in the last slice in which that part of the knee anatomy appears. Once the segmentations are complete, clinicians are able to calculate the volume, thickness, intensity and any tears in the meniscus – all data that can be compared with calculations made with data from later images. If changes in the meniscus correlate with osteoarthritis symptoms, this part of the knee could become a target for prevention and treatment of the disorder. To check the validity of the programming, the researchers compared calculations from their study with typical measurements of the meniscus found in previous research. The figures matched. The scientists also compared the computer program’s outcomes to interpretations of the same images conducted by five people specifically trained to manually segment the meniscus within the images. The computer is equally as skilled as two humans whose interpretations of the same image are compared, and exceeds the accuracy of a single person interpreting the same image twice. The researchers are currently working to automate the entire process, including the establishment of start- and end-points for the program. They also are developing programs to automate measurement of other areas of the knee: bone, cartilage, ligaments and the quadriceps muscles. All of the images will be obtained from the national Osteoarthritis Initiative. “In my opinion, this disease will not have a single signature. 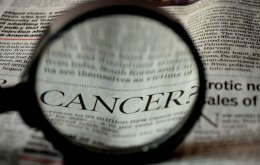 I think we’ll need to look at a lot of different things to understand how this disease develops,” Gurcan said. This research was supported by the National Center for Research Resources, the National Institutes of Health Roadmap Training Program in Clinical Research and the National Library of Medicine. Additional co-authors of the paper are Jeffrey Prescott and Kimberly Powell of the Department of Biomedical Informatics; Thomas Best and Furqan Haq of the Division of Sports Medicine; and Rebecca Jackson of the Division of Endocrinology, Diabetes and Metabolism, all at Ohio State.